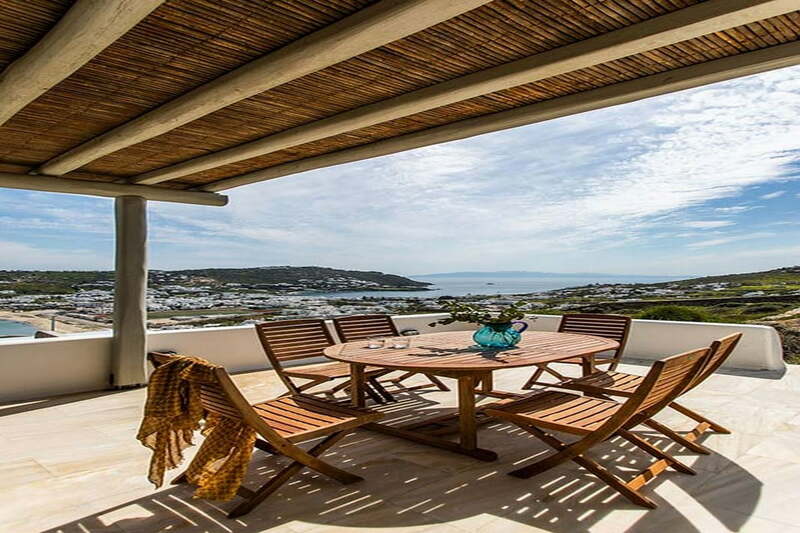 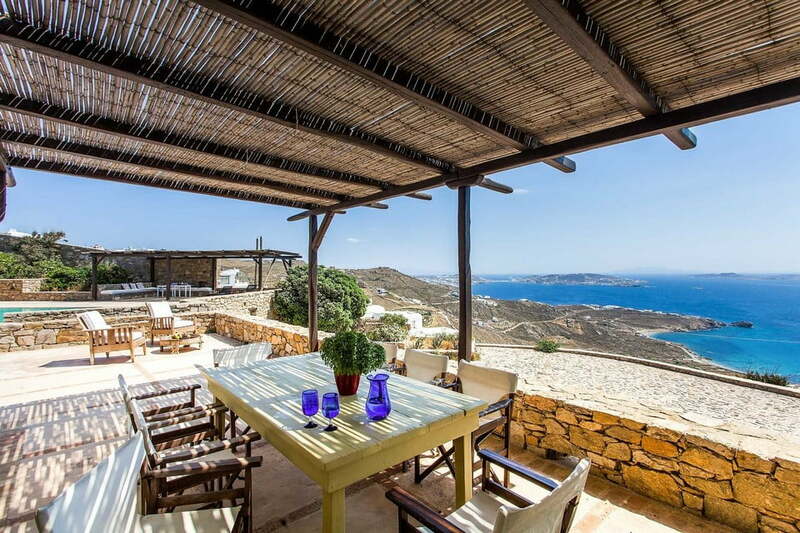 Villa Marlou is a unique 5-bedroom property in Kanalia, Ornos…. 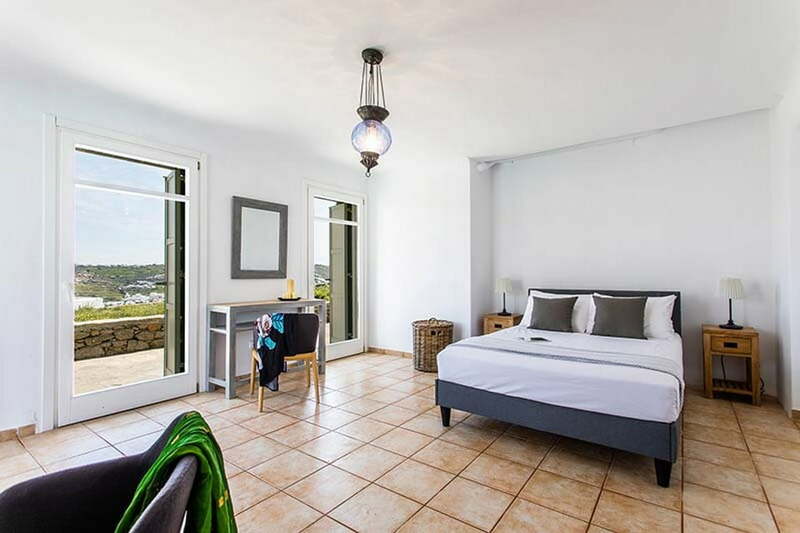 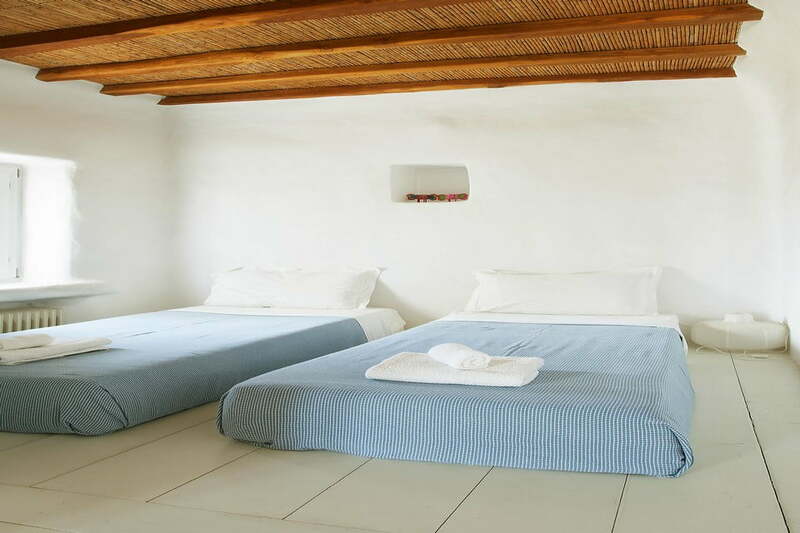 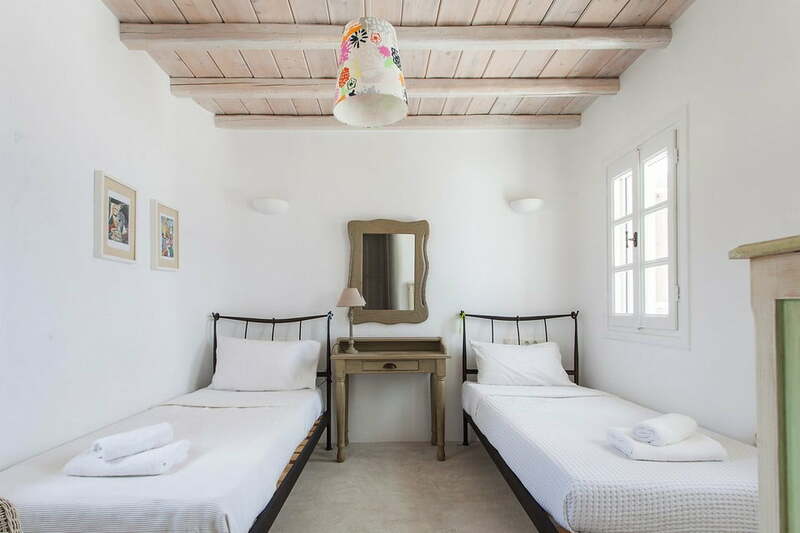 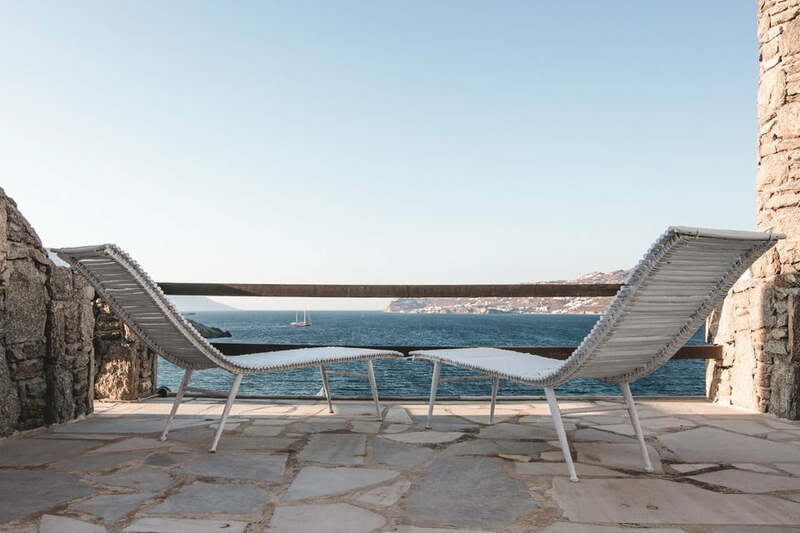 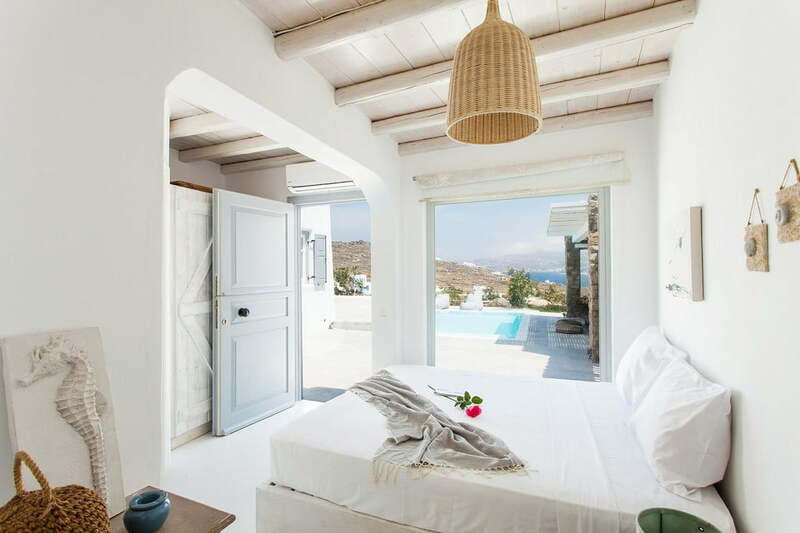 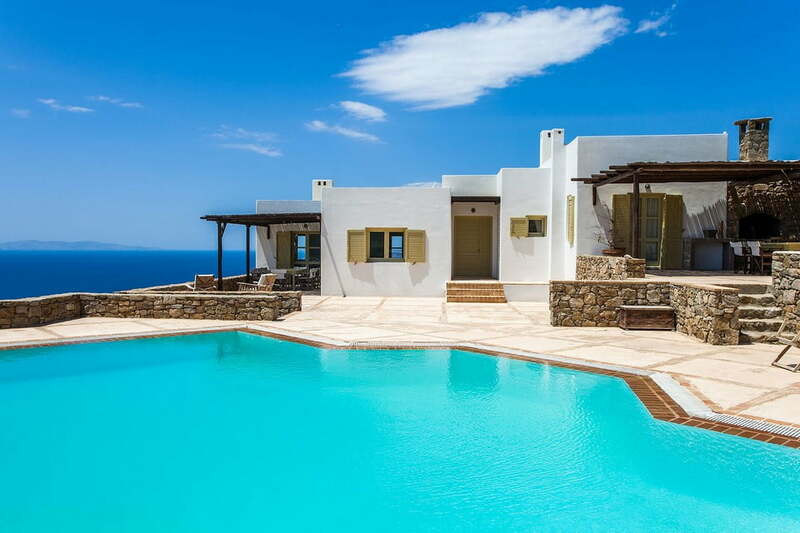 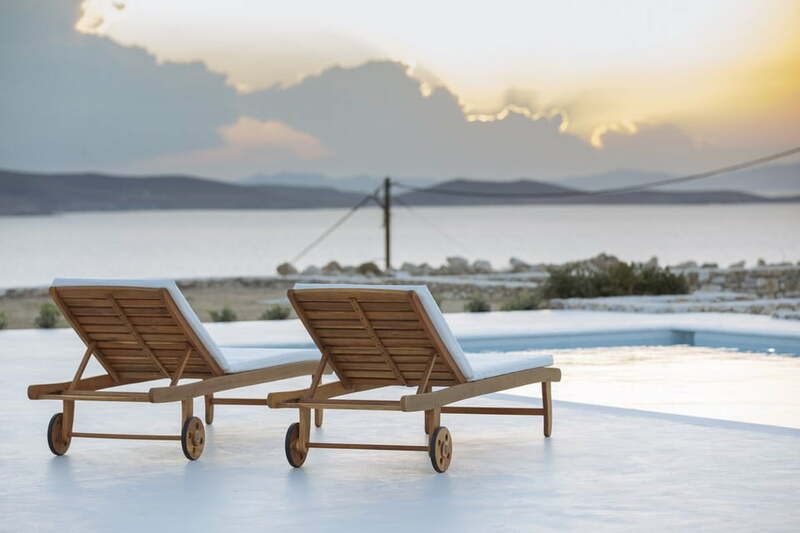 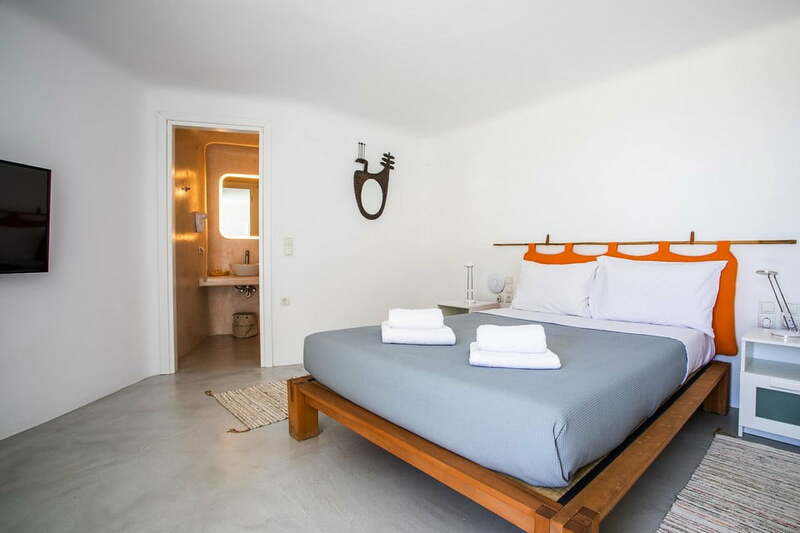 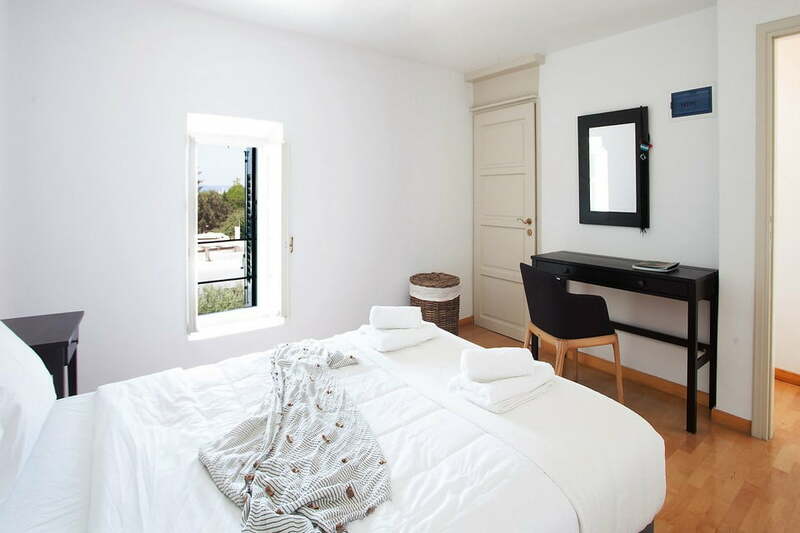 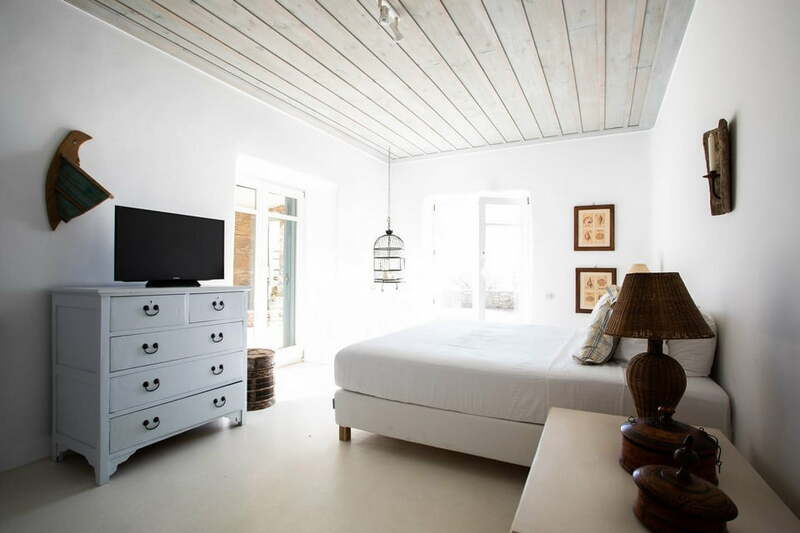 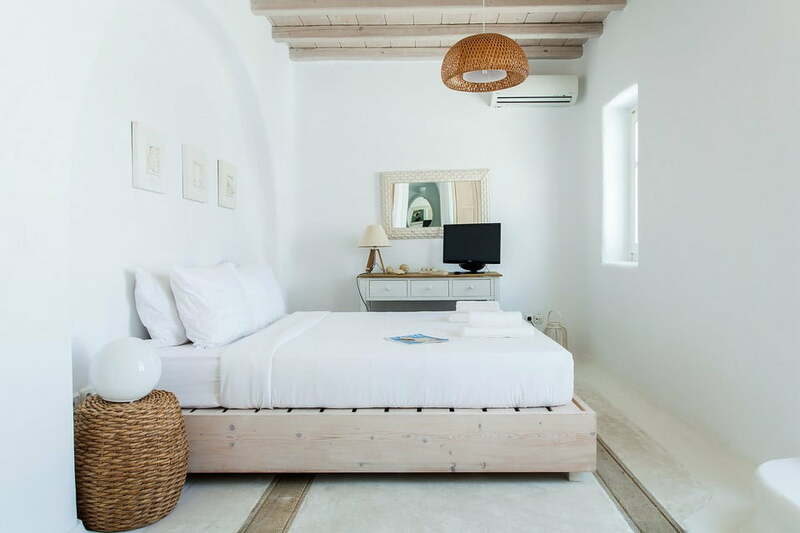 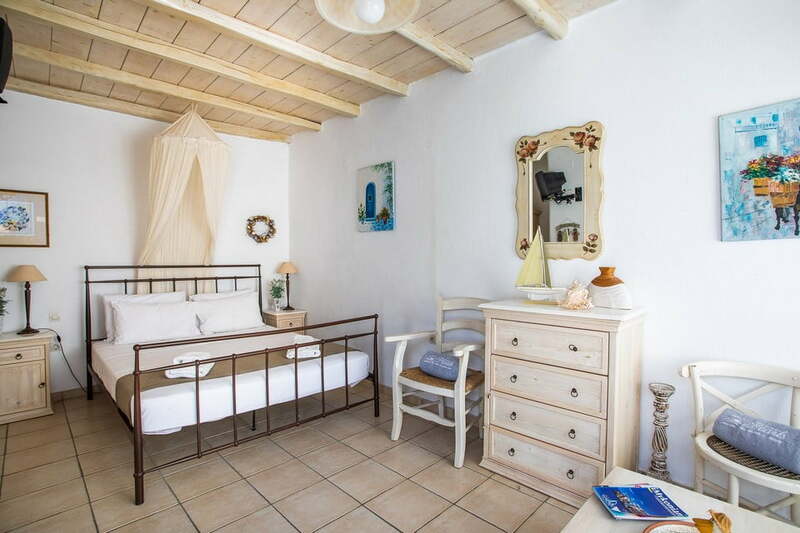 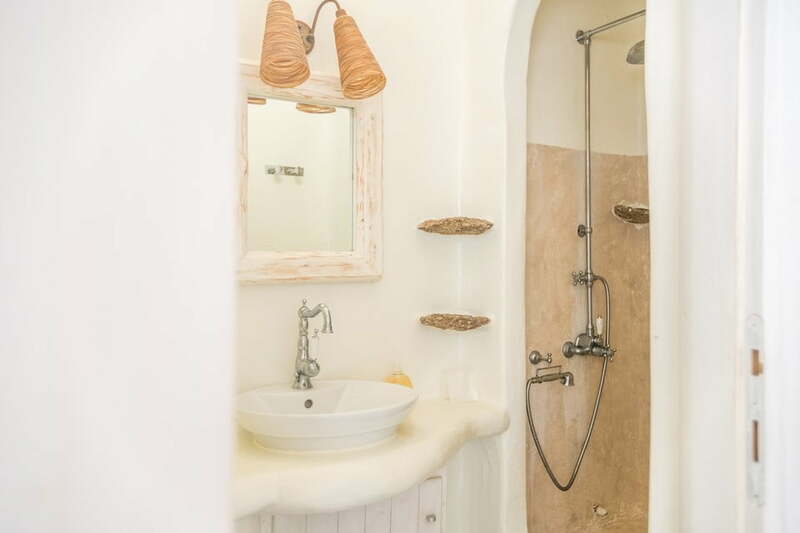 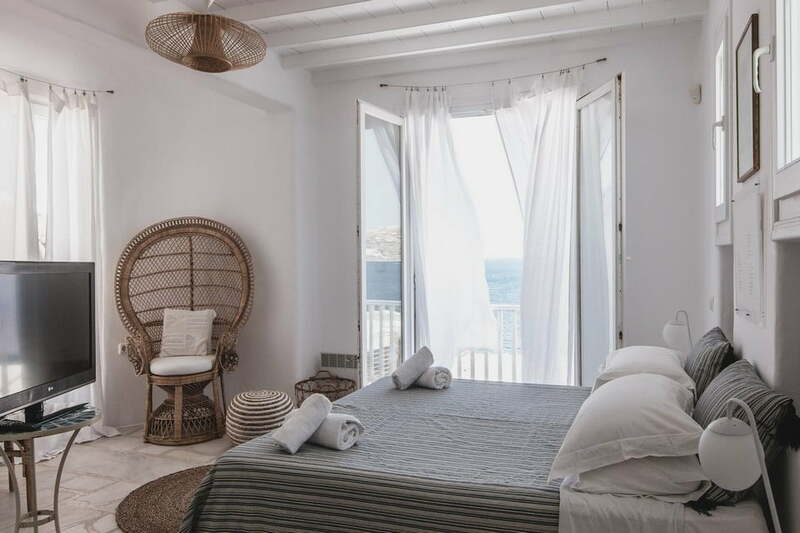 just a 5-minute drive from the famous beach of Ornos, Mykonos. 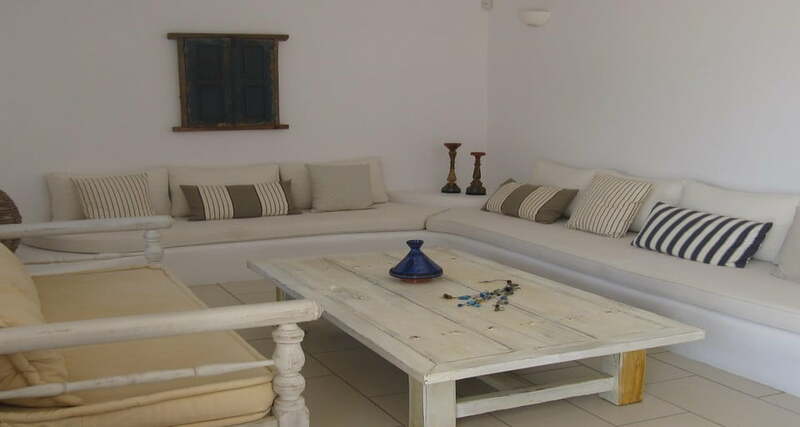 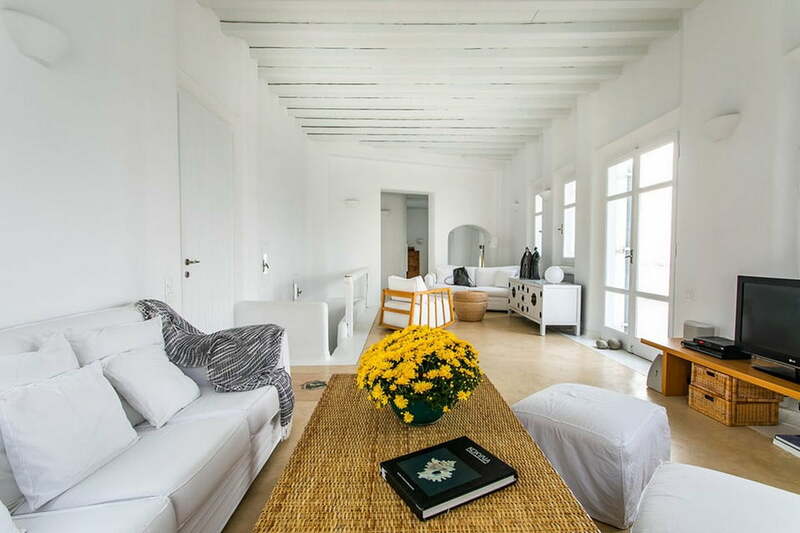 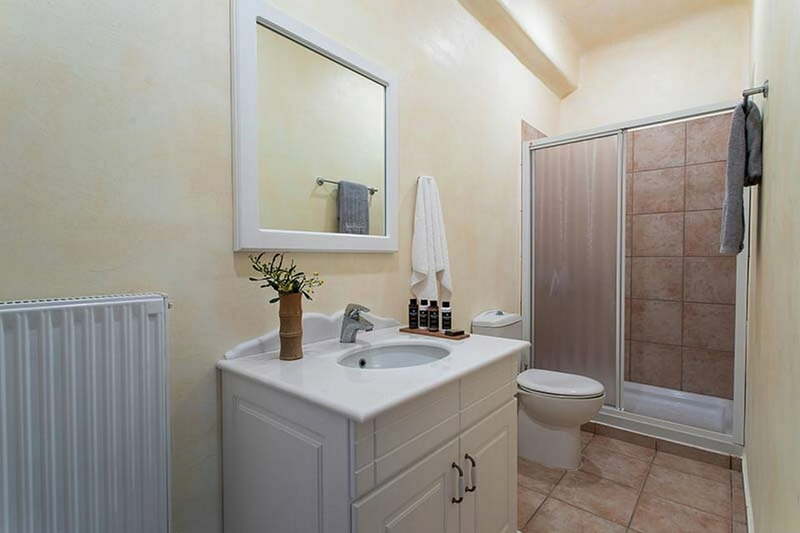 This American-style villa set in an exclusive plot, comprises a large main property and two guest rooms which can accommodate up to 10 people with its many bedrooms and flexible sleeping arrangements. 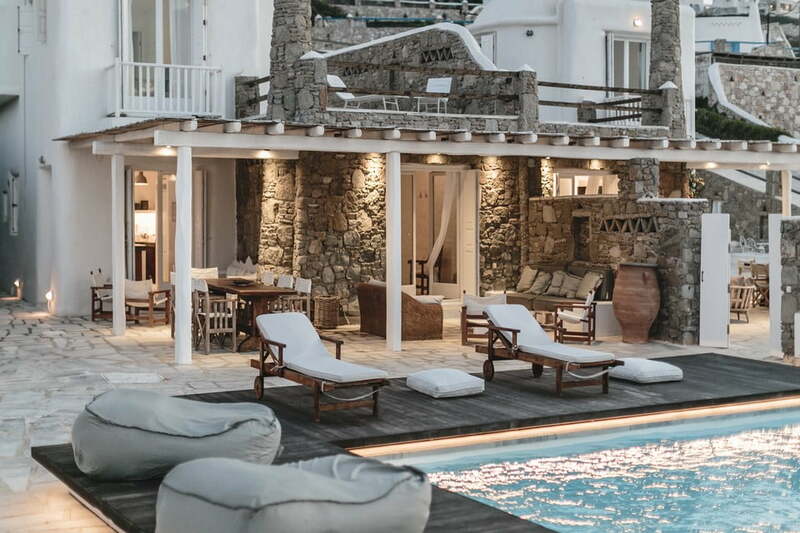 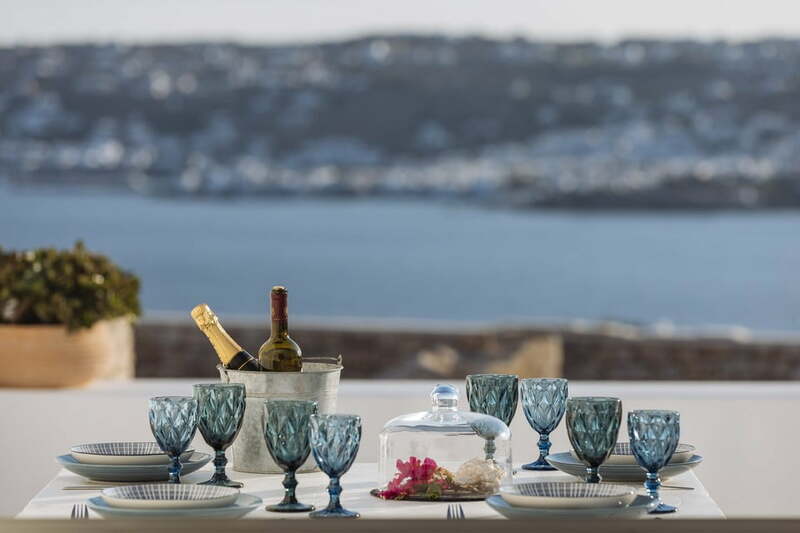 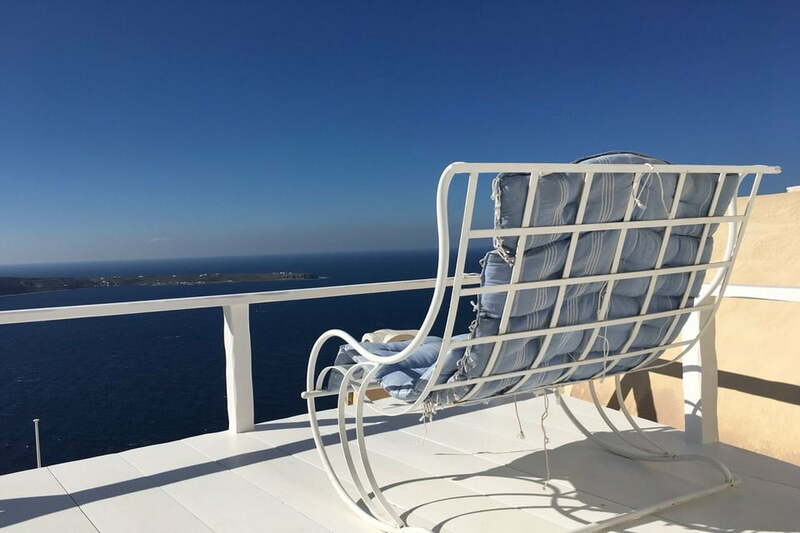 Meeting point in this villa is the vast exterior with its swimming pool and delightful shaded dining and lounge area, all inclusive of a breathtaking view of the Aegean Sea.